Many Subaru vehicles use the small Multi-function display (MFD) in the dash to display the OEM backup camera. We have developed a harness to allow our customers to relocate the backup camera image from the MFD to the larger navigation screen. A different harness will be required depending on your vehicle's OEM configuration. This page will help you select the proper harness for your vehicle. Important Note: After installation, the backup camera image will no longer display on the MFD. This harness will relocate the image from the MFD to the larger, headunit screen. Your backup camera will now only display on the headunit. Please Select One I will relocate the backup camera image to the an aftermarket headunit(i.e. Pioneer/Kenwood/Alpine etc.). I will relocate the backup camera image to the OEM Navigation unit. This harness connects between the back of the MFD and the aftermarket headunit. 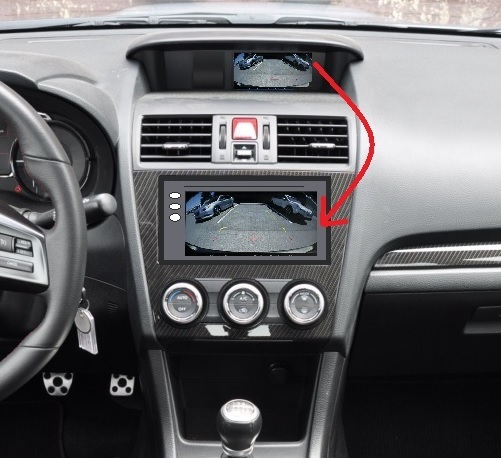 The backup camera video signal will be provided as an RCA connector. -Reverse gear signal (provided as a wire to be connected to the new unit). -Vehicle Speed Sensor (VSS) signal. -Connect the purple wire to the back-up lamp input wire on the new headunit. This is the wire that triggers the backup camera when your car is shifted into reverse. There is no need to connect the headunit wire to the backup lamp. This harness provides that connection. -Connect the 3.5mm plug to the "Remote wired input" plug on the back of the unit. -Connect the red wire to the same switched 12V source that your headunit is connected to. This wire is a power wire for the AXXESS ASWC-1 UNIVERSAL INTERFACE. -This configuration process is different for every headunit. Pioneer headunits normally come preconfigured to accept the camera but it is possible that it must be reconfigured. This is performed by navigating to the home screen and navigating to "System" > "Camera Polarity" > "Battery"
-This installation will require the AXXESS ASWC-1 UNIVERSAL INTERFACE to properly maintain steering wheel controls. Most vehicles should be automatically recognized by the AXXESS ASWC-1. If the unit does not automatically recognize the car, reprogram the ASWC-1 by pressing the reset button on the ASWC-1 for 3 seconds, release, and then follow the instructions in the ASWC-1 installation guide. Expect assembly to take 1 week or so. The AM/FM antenna adapter will retain the AM/FM radio antenna. This harness is not compatible with this vehicle. Please Contact Us regarding options for this vehicle. 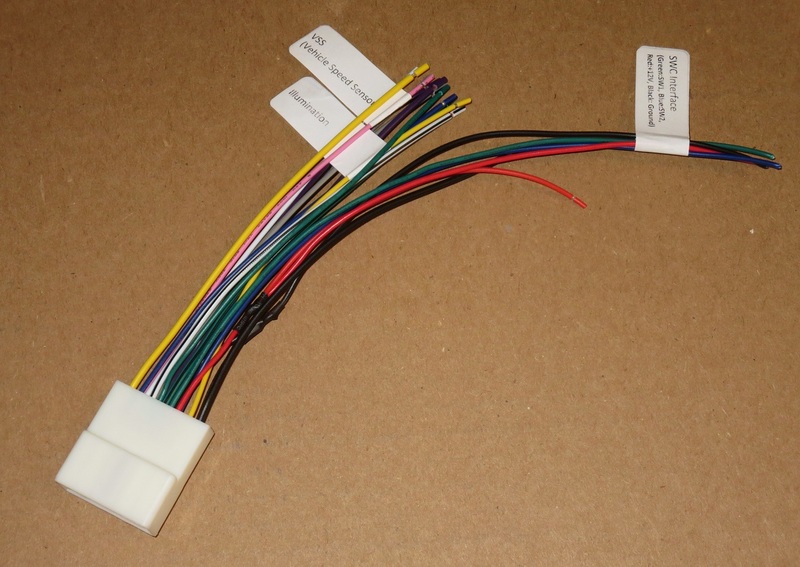 This is a set of harnesses that connects to the 20-pin and 16-pin connectors on your vehicle's factory wiring harness and provides wire connections for an aftermarket headunit. 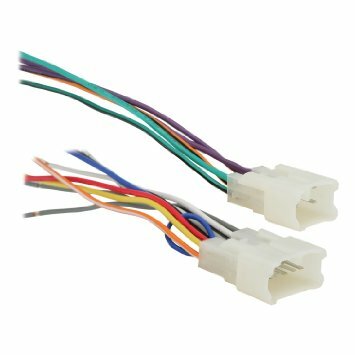 The 20-pin connector is pre-wired with the AXXESS ASWC-1 connector for a seamless steering wheel control interface to your new aftermarket headunit. 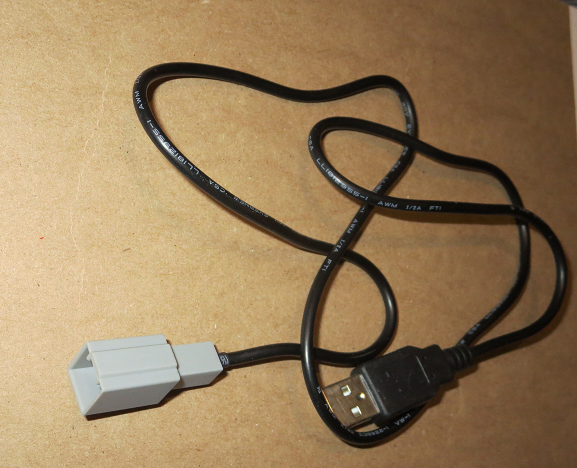 This adapter is used to install an aftermarket headunit/Stereo Receiver in a 2007-up Subaru. Adapter includes pins to connect a steering wheel control interface module. (Pins 4,13,14) and includes pin 19. (Pin 19 connects to the Vehicle Speed Sensor signal on many Subaru vehicles). 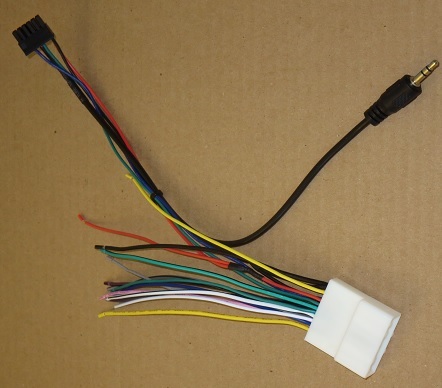 In addition, dedicated ground and +12 Volt Accessory wires are provided to power a steering wheel control interface module. 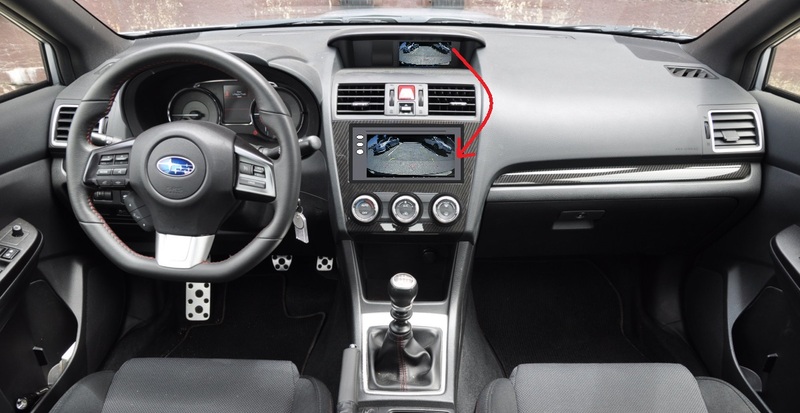 INSTALLATION NOTE: The non-nav WRX doesn't have the reverse signal connected to the headunit wiring, so you will need to find that signal elsewhere in the vehicle harness and wire it to both the AutoHarnessHouse backup camera harness and the aftermarket headunit. Most customers connect to this signal at the tail light. We can provide more information on other areas where this signal can be tapped if desired. This harness connects between the back of the MFD and the aftermarket headunit. The backup camera video signal will be provided as an RCA connector. The Reverse signal wire will also be provided for connection to the aftermarket headunit. INSTALLATION NOTE: The non-nav Forester doesn't have the reverse signal connected to the headunit wiring, so you will need to find that signal elsewhere in the vehicle harness and wire it to both the AutoHarnessHouse backup camera harness and the aftermarket headunit. Most customers connect to this signal at the tail light. We can provide more information on other areas where this signal can be tapped if desired. This harness connects between the back of the MFD and the OEM Fujitsu-Ten Navigation headunit. This harness will also fit vehicles with the Harman Kardon audio package as well as vehicles that do not have Harman Kardon audio. This harness is 100% plug-and-play but will require you to pull the MFD unit to access the connectors behind it. Please check the options you've selected. For more information, please Contact Us. Your vehicle is not populated into our system. Please Contact Us for more details.